TORONTO -- Canadian and American auto worker unions say they'll continue to fight for higher wages in Mexico with or without a NAFTA deal, even as U.S. President Donald Trump threatened again to pull out of the agreement just days before another round of talks. After a meeting with Foreign Affairs Minister Chrystia Freeland in Toronto on Friday, the presidents of Unifor and its American counterpart United Auto Workers said they're not concerned by Trump's statement at a campaign-style rally Aug. 22 in Arizona, where he predicted the U.S. will pull out of NAFTA "at some point." The second round of renegotiations begin in Mexico City on Sept. 1. "If Donald Trump threatens to walk away from it, no problem," said Jerry Dias, national president of Unifor, which represents auto industry workers in Canada. "The fear of staying in NAFTA under the current conditions is much worse than the fear of abandoning it." UAW president Dennis Williams added that if "the President of the United States decides to tear up NAFTA, so be it." Labour groups say that increasing protections for workers and ensuring enforcement policies for violators will raise the standard of living for Mexicans, while making Canada and the U.S. more attractive in comparison. They complain that minimum wages in Mexico can be as low as 90 cents per hour and have accused the country of using cheap labour as a way to draw in business. 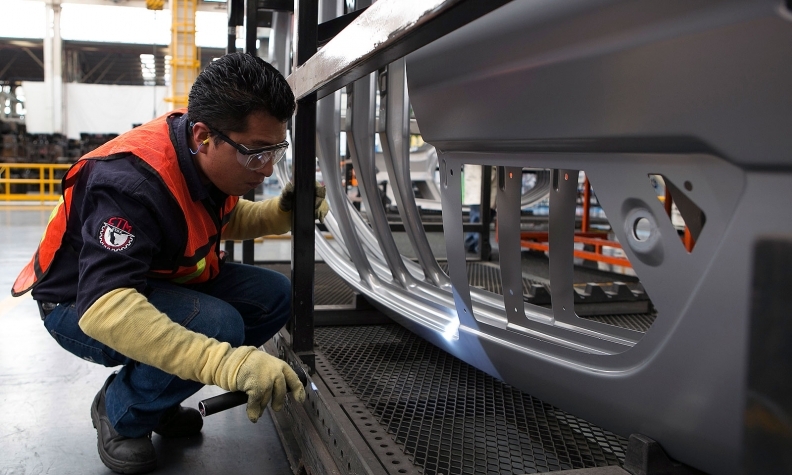 Many blame NAFTA for the closure of four assembly plants in Canada and 10 in the U.S., while Mexico has gained factories since the deal was created. Williams said low wages in Mexico and working conditions will still be a sticking point, even if the NAFTA deal eventually falls through. "Workers are still being exploited and the standard of living in the United States is still dropping," he said. "Anytime we can have discussion about trade, discussion about workers rights, discussion about fairness to all communities, that's not for nothing." Friday’s event was one of Freeland's many meetings with labour representatives as Canada's negotiation team continues NAFTA renegotiation talks in Washington. Freeland did not take questions at the closed-door meeting, but reiterated some of the country's main negotiation points. "As Canada has said, the labour provisions are particularly important to us as are issues like the environment, like gender," she said. Autos emerged as a key issue at the launch of NAFTA renegotiation talks last week when U.S. Trade Representative Robert Lighthizer opened discussions by pointing to the manufacturing sector as a reason why Americans view NAFTA as a failure. He discussed the auto sector in the greatest detail, saying that thousands of American workers have lost their jobs. The United States will be pushing for a higher minimum number of parts in cars to be made in North America in order to avoid tariffs.